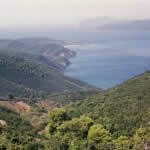 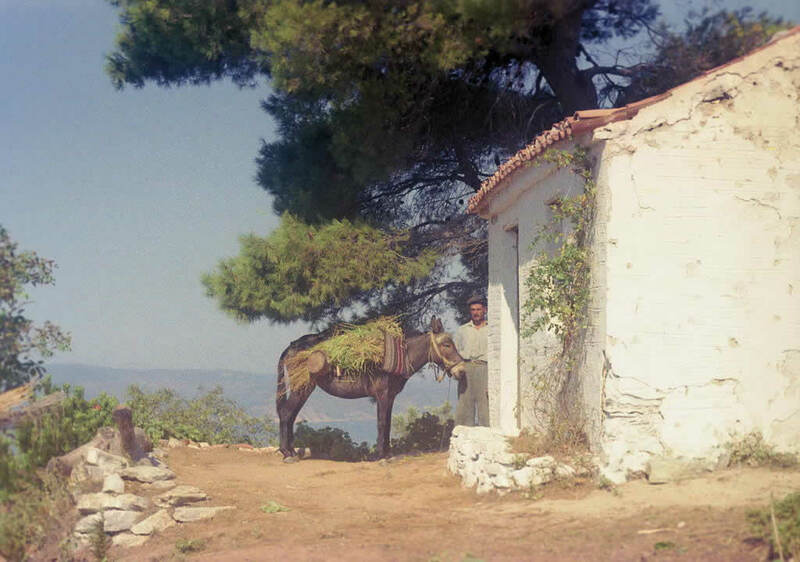 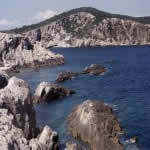 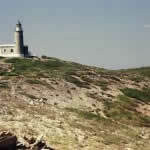 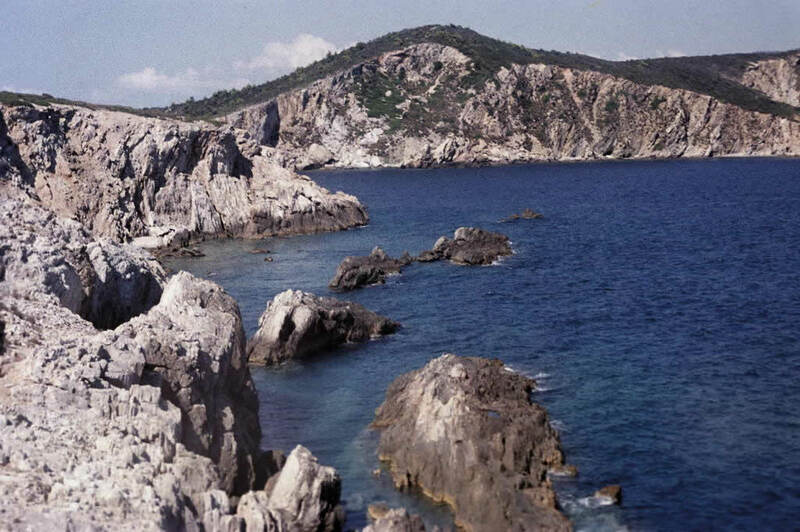 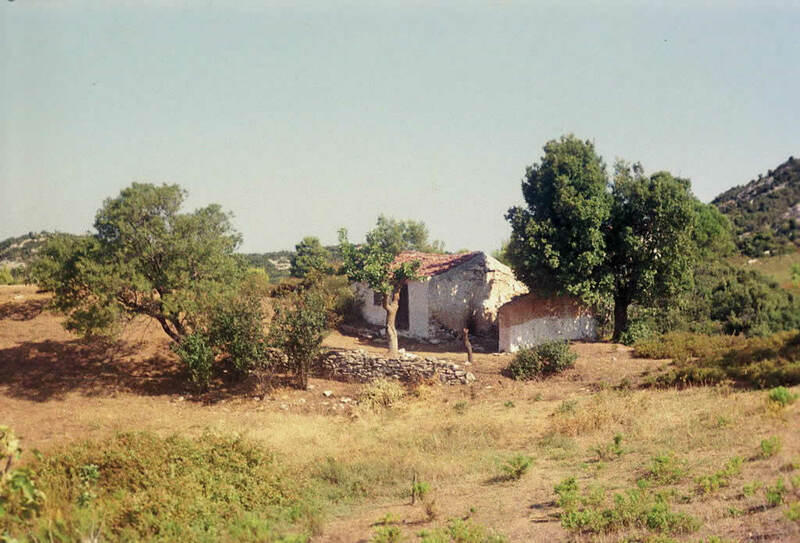 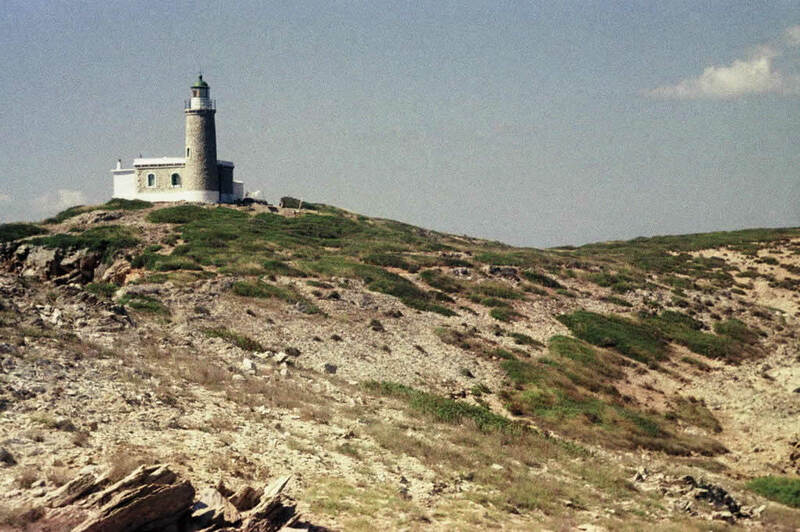 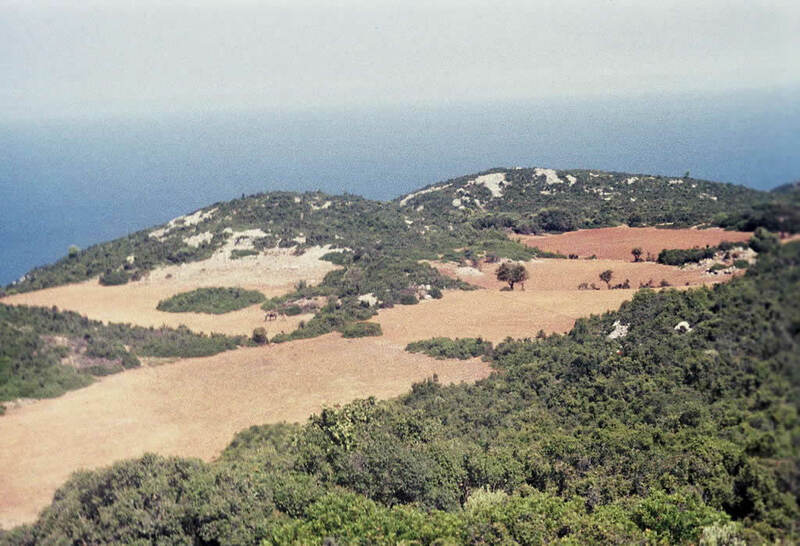 Some occasional pictures from our first stay on Skiathos and the satellite small islands in summer 1957. 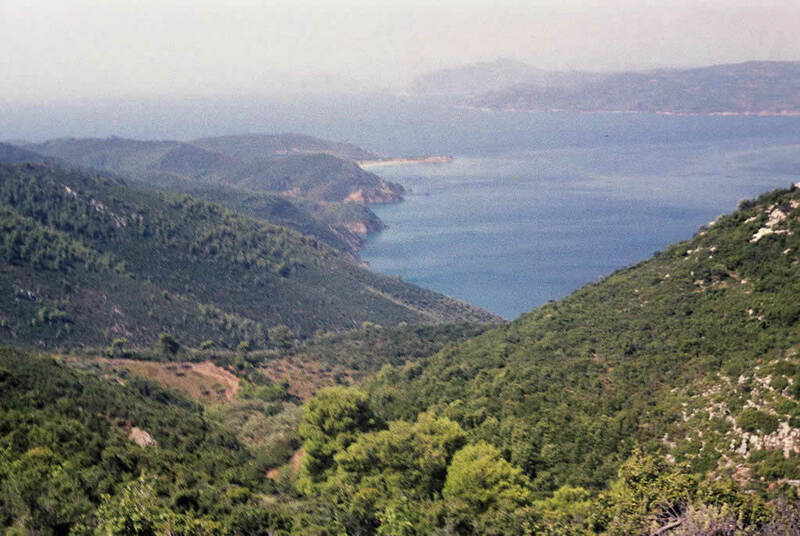 We had arrived on a fishing boat from Stylis on the mainland. 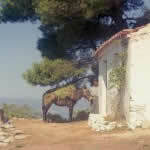 There was no proper hotel on Skiathos yet, and for reaching the island's opposite (western) side we hired a mule with guide and stayed over night half way. 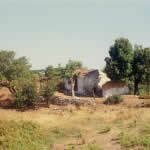 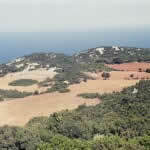 No villas yet, no roads of any distance for cars; tourism was hardly thought of.